Sales of our exclusive product the fabulous Lockwood 7444 Keyed Pocket Door Lock, continue to skyrocket. Orders are coming in faster than we expected and our current supply is dwindling. We have ordered more product from Australia to keep up with demand. We have 10 left in the Satin Pearl (brushed nickel) and 9 left in the Chrome Plate (bright chrome). We are expecting replenishing supplies in the next 3 weeks. If you are delaying your purchase, please be aware that if you wait too long, you may have to wait even longer due to demand. 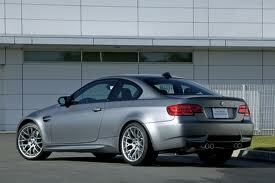 Edit: February 13, 2013 - New product has arrived. 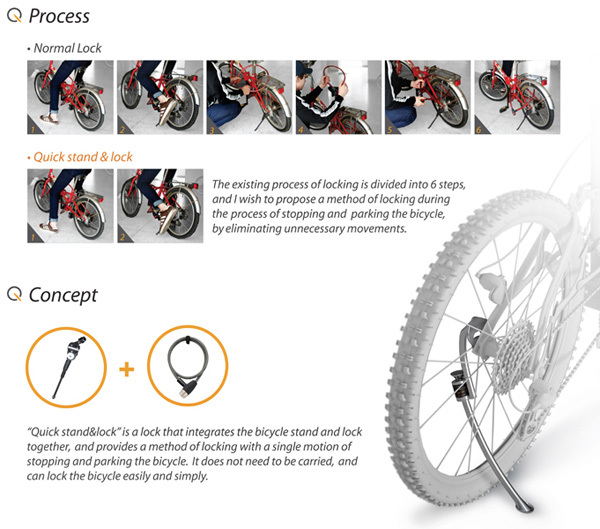 The Quick Stand N Lock is a novel concept bicycle lock that might appeal to bicycle owners everywhere. 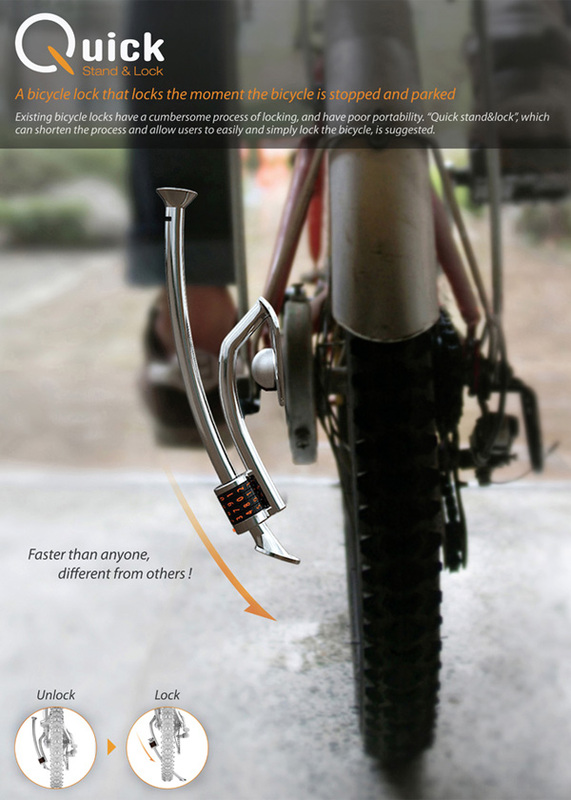 The concept involves the typical bicycle stand used for a great many years by many bicycle manufacturers. The true portability of this product design is such that, unlike other bicycle locks, that require a separate connectable device that often needs to be strapped to the bicycle, the Quick Stand N Lock is connected in place of the existing stand and locks in place through the bicycle wheel spokes. 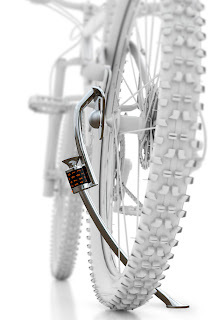 This prevents the bicycle from being ridden away. This is still a concept design product, however it certainly is a new and novel way about thinking of bicycle security, no? We have been extolling the virtues of this fabulous Australian company for a few years now and we continue the series with another video from their range of products. It wouldnt surprise me that you have seen a lock system like this in your neighborhood, because the MagnaLatch by D&D Technologies is the number one sought after pool gate locking system made. Endorsed by more local city inspectors and other authorities having jurisdiction (AHJ) than virtually any other competing brand, the MagnaLatch is one of, if not, the simplest product of it's kind to install. It is far more competitively priced than other comparable systems and is well known the world over as simply "The Best". You wouldn't trust your security and the safety of your children to just anyone, would you? The MagnaLatch has been around about 25 years. 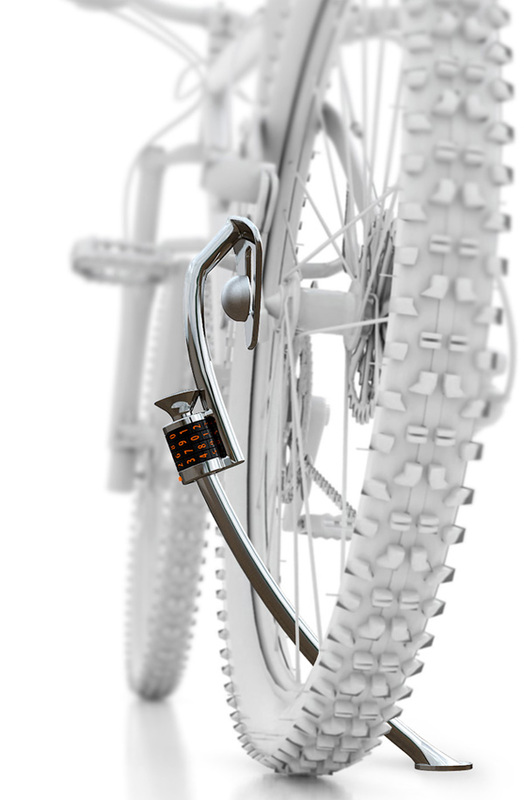 It consists of a top pull handle that is key lockable using the well known Lock Focus cam lock key systems. Most keys are coded, allowing for easy replacement from your local locksmith company. We can even master key them if desired. D&D Technologies have been mentioned a few times previously in this blog. We showed the fabulous LokkLatch gate locking product. D&D Technologies are another forward thinking Australian company making an impact on the world market. They have been the preferred manufacturer for all residential and commercial garden and pool fences and gates for over 25 years in Australia. They have made an impact on the market in other countries too, including the USA. In fact, many local authorities having jurisdiction (AHJ) specify D&D Technologies products as the accepted minimum standard for pool and gate security. Above is another video from their range that shows the very versatile spring loaded hinges and why they are such a sought after product. The ease of installation, the quality of material, the range of applications and the ease of adjustment explain why builders, contractors, locksmiths and gate suppliers all over the world love and recommend their products. Pictured above is a small mudmap of the most recent crime statistics reported by the Creve Coeur police department for the 30 day period ending January 24, 2013. We are reporting only Breaking & Entering, Robbery and Theft incidents. This certainly shows that the Creve Coeur district enjoys a relatively low level of these types of crimes and explains why property values in this area are climbing faster than other nearby districts. Kudos is deserved to the excellent policing of the Creve Coeur Police Department in maintaining such a protected community for all residents and businesses therein to share. We will provide additional districts in upcoming posts showing similar results for the corresponding time period. An enterprising gang of car thieves were caught last year on CCTV showing them succeeding in stealing a pre-2011 model BMW motor car. According to the article, thieves are generally able to go online to any number of asian internet sites and purchase the required materials for around $30.00 and then program their own key to your vehicle. The kits come with the fob, instructions etc that make this kind of modern day car theft all the more easy. Essentially, almost nothing is thief proof today. If a determined thief wants in, they are getting in. BMW claimed in a statement to The BBC that they are "not legally obliged to help out" but later followed up with extra tips to thwart theft of their more modern vehicles. 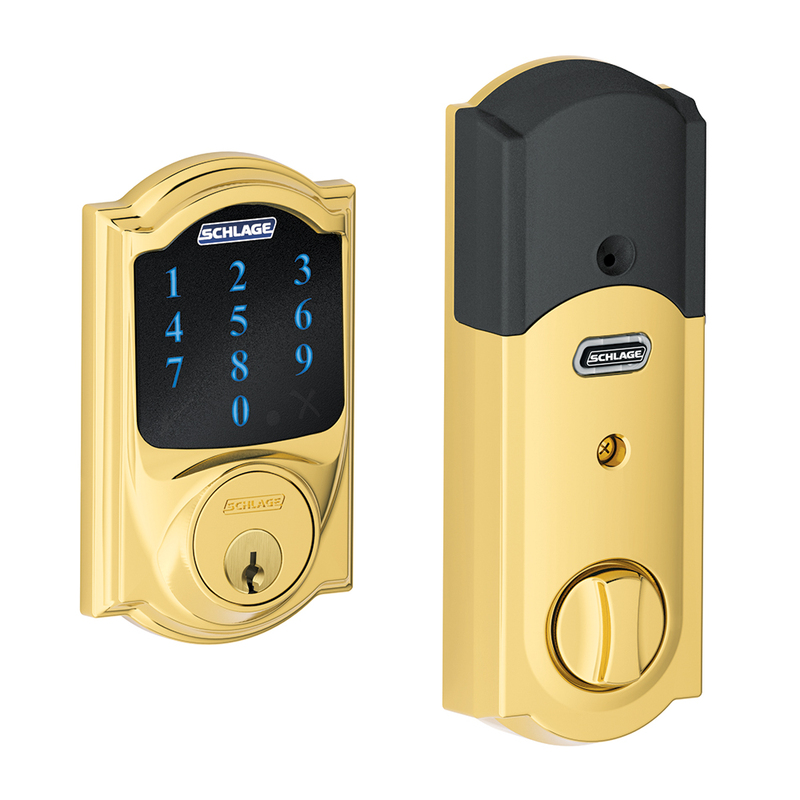 Schlage recently introduced their new Nexia Touchscreen deadbolt that provides multiple options contained inside one smart looking product. The ability to store up to 30 different 4-8 digit codes, auto-locking feature, built in alarm and wifi - Z Wave controllable, this new product is able to be used with a conventional mechanical key overide. This wireless, battery powered product will modify the landscape, providing users with nouveau access control technology combined with state of the art security protocols. The video (after the jump) gives an overview of this new product. How Secure Is your Life? A couple of years ago I posted an article about thieves in the UK using social media to plot their nefarious activities. In the article we sourced information that suggested (at the time) a 7000% increase in crimes associated with a rather well known social media service. A new television program in Europe is currently being developed highlighting the talents of a magician, who claims to be able to read minds with a large degree of success. In the video (after the jump) see how he does it. How secure are your life records? The Sargent & Greenleaf 2740 GSA approved electro-mechanical wireless dial combination safe lock has been around a little over a year now and is making significant ground on competitors versions. S&G have been one of, if not,the prominent safe lock manufacturer for the past century. When manufacturers select their choice of locking system for safes, S&G is usually the industry standard that most other companies attempt to duplicate. Yes there are alternatives, some of which are more competitively priced, but the quality of S&G components is widely known, the world over, for it's simplicity in design, ease of use and persistent quality. There are many safes available today that use keypad combination locks. While I can understand the desire for some people to consider a digital keypad, more user friendly, you are attempting to secure your documents, cash, jewellery etc arent you? For that reason primarily, wouldnt you prefer that operating your safe be slightly more difficult than just punching a number? The S&G principle shown in the above video modernizes the original procedure that most S&G combination safe locks have used over the years.